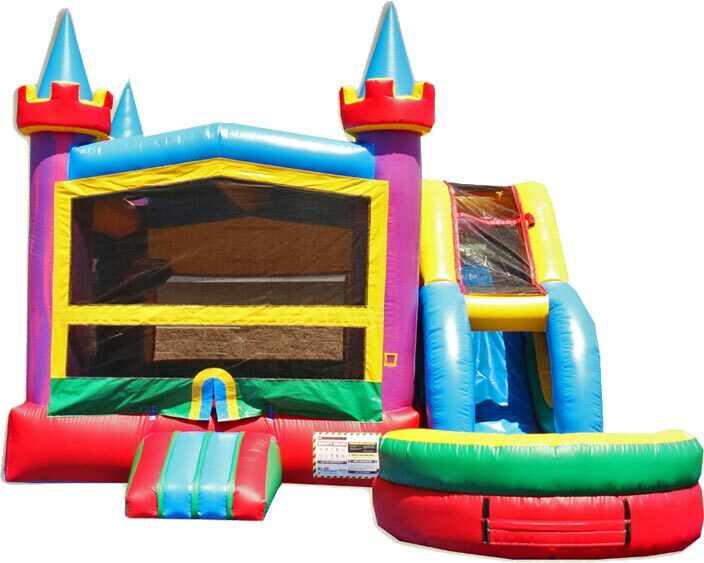 The wet/dry Combo Bounce House will have your kids bouncing around all day. 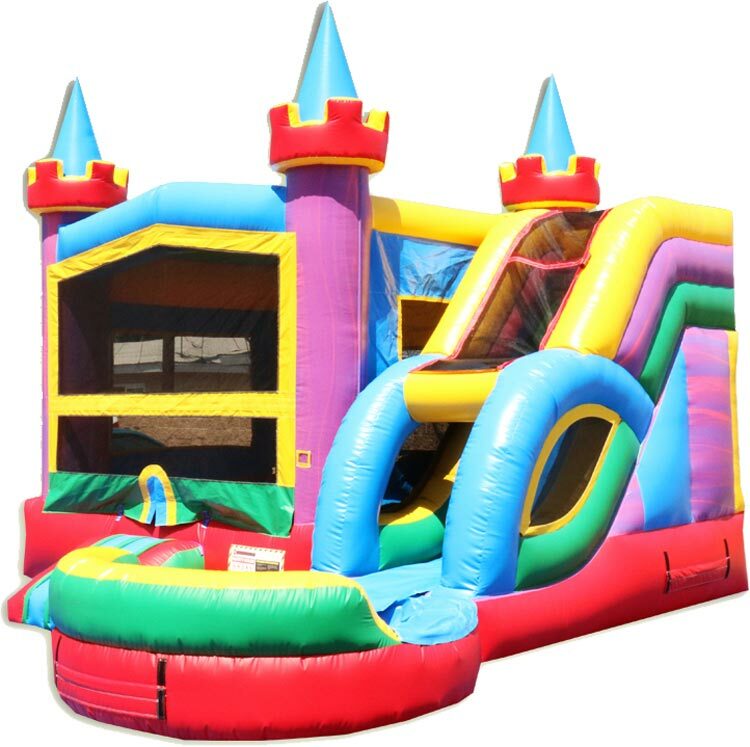 This fun, colorful and inflatable bounce house is made commercial-grade tough to take on endless hours of fun. 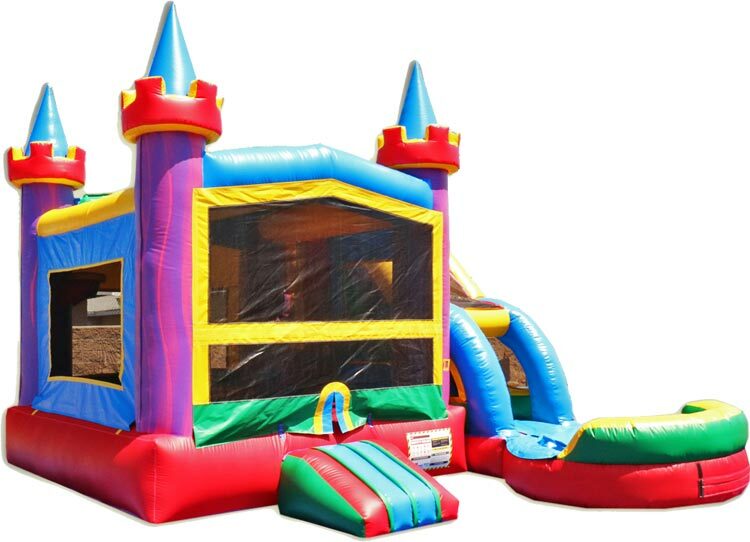 Not just for bouncing, this bounce house includes a basketball hoop, and slippery slide all encased in mesh for safety. Perfect for carnivals, festivals, parties, and other events.